adresses. Try a couple of times. 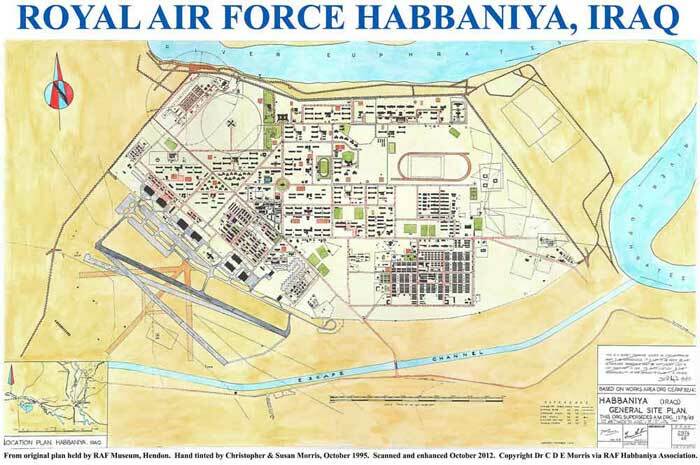 The plan of RAF Habbaniya, hand tinted by Christopher & Susan Morris and mounted on a display board. It is available as a framed print to RAF Habbaniya Association members. The 1950 town plan of RAF Habbaniya. There is a later plan dating after 1955 when the Iraqis used part of Habbaniya.